This module is to create a block number at the beginning of a paragraph with changing its colors, styles, background. It is the most simple and time-saving way you can get your desire work done in a minute. Heading : Write the Heading Text here. Content : Write main Content Text here. 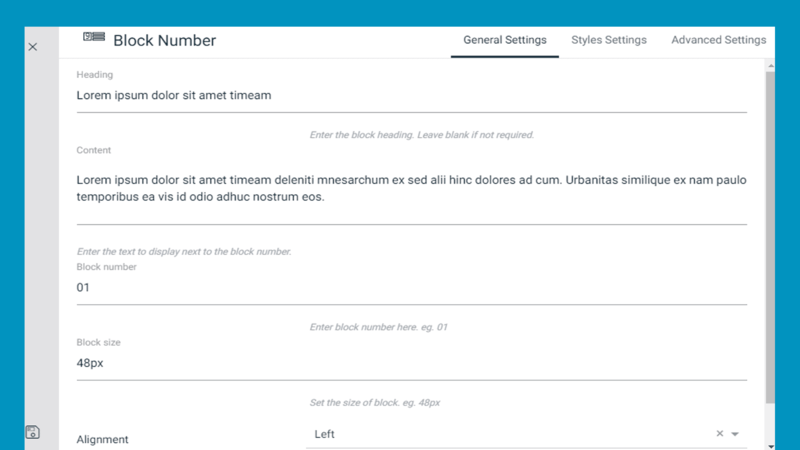 Block Number : Write the block number you want to show before of the content text. Number Font : Customize the number font for the Block Number. You can choose from plenty of existing Google fonts and define its type ( Bold, Italic, and Underline, Uppercase, Lowercase, and Capitalize as well ), size, line height, and letter spacing. Block bg color : You can select the background color of the Block Number with this option. 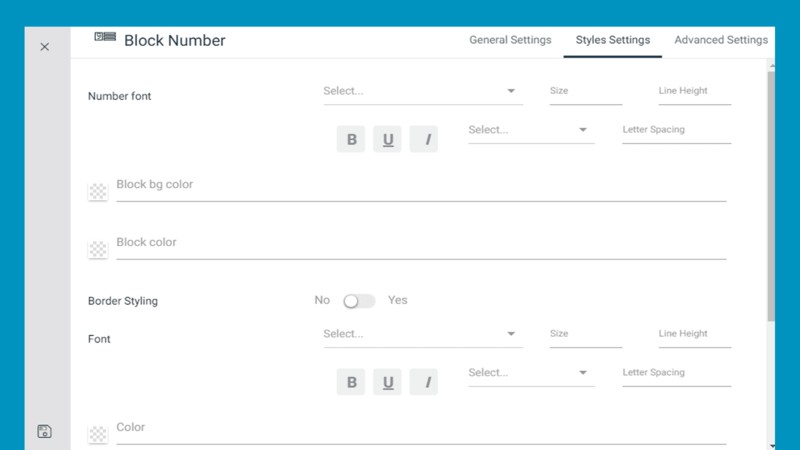 Block color : You can choose the Block Number color of with this option. Border Styling : You can enable or disable Border Styling with this option. Font : Set the font style of the content text. Color : Define the color of the content text here. Margin : You can define the amount of margin in pixel for Top, Right, Bottom and Left as well to your Block Number section. Padding : You can also define the amount of padding in pixel for Top, Right, Bottom as well as Left to your Block Number section.